When I was recently headed to Mackay for an intro to the region, the general response when I mentioned my destination was either, "where?! ", or "why?!". Up until two weeks ago, I wasn't entirely sure of these things myself. Now I am. And it's absolutely worth sharing. Mackay is located just above the halfway mark between Brisbane and Port Douglas and, given it produces around third of our country's cane sugar, is considered our sugar capital. It's also been active in mining in recent years but now the attention is shifting towards this beautiful part of the world as a down to earth holiday destination. Given it's location - just a 1.5 hour flight from Brisbane - this breezy, warm, laid-back town offers more than a launching pad to the Whitsundays or Great Barrier Reef and is a great get away in itself. Here's why. It's easy to get some sun. With flights from Mackay to Melbourne available from $235 with Virgin, you can find yourself soaked in sun in just over four hours. Super easy, brand new accommodation. The premium economy ibis Mackay Airport (pictured below) is located literally across the road from the airport making it an ideal spot to arrive, drop your bags, arrange a hire car and make it your base for quick trips into town or day trips further out. Having just opened in June, it has that new hotel smell and feel and is absolutely pristine. Expect a modern design, contemporary bathrooms (no Ibis pod bathrooms here! ), very comfortable beds, a gymnasium, onsite restaurant and bar (with food, like the Ibis Boomer Burger, that you can order and take up to your room) and lovely, lovely people. It must be all that sunshine. 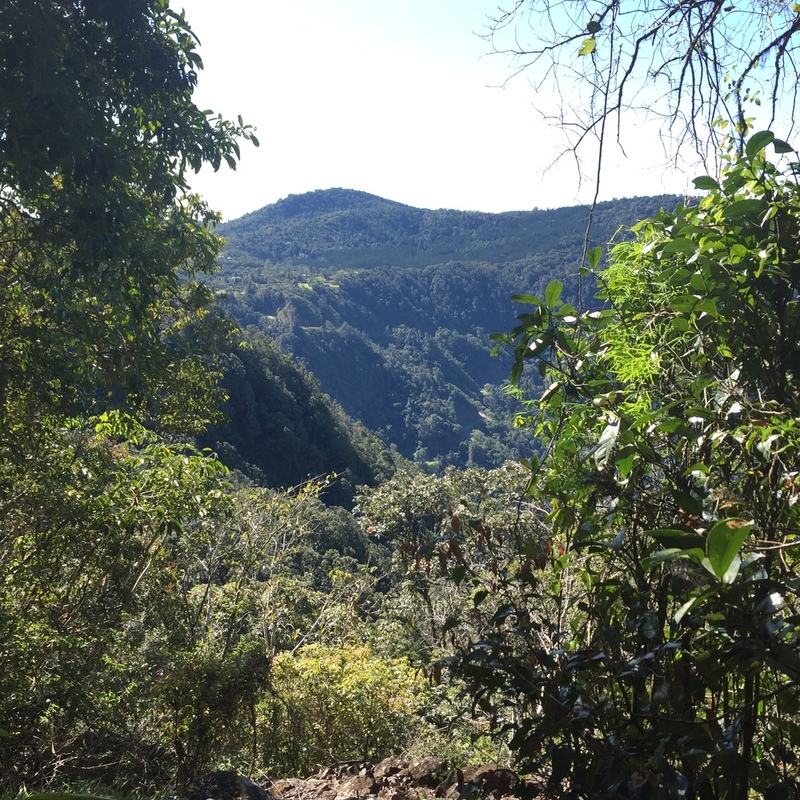 The wild beauty that is Eungella National Park is about an hour West of Mackay. I implore you to seek out the Sky Window Lookout from where you'll take in sweeping views of the Pioneer Valley and all its gorgeous expansiveness. While you're in discovery mode, take some time out to let the shoulders drop at the platypus viewing platform (below second from left) as you silently wait to spot the adorably playful but highly elusive platypus. This is one of the best places in Australia to see this shy-guy in the wild. Bordering Eungella you'll find the lowland riverine rainforest of Finch Hatton Gorge (above, third and fourth from left) and all its picturesque waterfalls, lush flora and volcanic boulders that are home to fauna like the monitor lizard, azure kingfisher, bush turkey and flying fox. If you like a bit of sand between your toes, Mackay has you covered. Harbour Beach is only five minutes from town, seasonally patrolled by the Mackay Surf Lifesaver Club and home to the insanely fun Mackay Airport Beach Horse Races. What a day! These are just a hint of the natural awesomeness you can find in Mackay - here are some more. Within Finch Hatton Gorge, make sure you drop in to visit the River Rock Cafe and feast on humble, tasty and highly satisfying meals while you're surrounded by nature. Enjoy a balmy afternoon or evening al fresco style at Bridges Restaurant, perched overlooking the Pioneer River and serving up modern Aussie cuisine with an international twist. In town, I highly recommend The Dispensary on Wood Street for two levels of stylish consumption from a stunning degustation space for 10 and large, cosy wine bar below to a whisky bar just above. It's the perfect playground for city folk. This is what I'm talking about. The problem with popular, over crowded holiday destinations is…just that. If you’re after some peace and quiet with a hint of the city life you may want to put Mackay on your list. Rainforest. Beach. The hills. National park. Lizards. The cute little bobbing platypus. The races. Good people. Warmth. Serenity. Sunshine. That's why Mackay. For more information about the region, just visit www.mackayregion.com. With thanks to our generous sponsors, Accor Hotels, ibis Mackay Airport, Virgin Australia, Mackay Tourism Queensland, Mackay Airport and all the amazing locals who made us feel so welcome in Mackay.